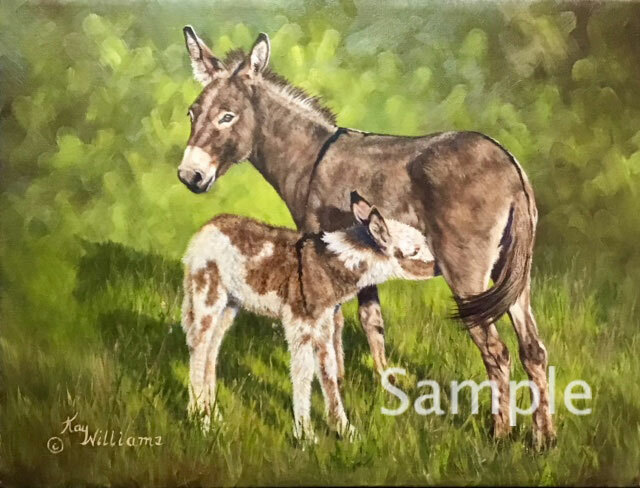 "Lost in the Woods" is the name that nature artists Ron Holyfield and Kay Williams gave to their home studio when they lived in rural Cumberland, Virginia. The name not only represented the roads that one would take to get to their home and workplace, but also signifies the mindset that allows these two artists to create works that speak to their audience in so many different ways. When they are not working in their studio or participating in shows and exhibitions, Kay and Ron can be found in the field gathering reference material for future paintings. In 2001 Kay Williams and Ron Holyfield moved from Virginia to the historic town of Dayton, Tennessee, located in the beautiful Tennessee River Valley near the Smokey Mountains. The location of their home may have changed, but "Lost in the Woods" remains as the name of their home studio and of this new virtual gallery. Take some time to browse around and learn more about the artists, their artwork, and where they can be seen.